TKO Studios made a big splash with its launch at the end of last year, debuting a new publication model catering to different reading preferences and a distribution model that sidestepped the flawed system currently in place by Diamond. The publisher released four miniseries by a mix of established comic veterans and promising newcomers, available in six-issue box sets, paperback collections, or digital editions. After a strong opening line-up, TKO is getting ready to release four new titles this summer. (Check out this February Big Issues for a deep dive into TKO Studios’ launch.) TKO has brought in big-name talent to grab the industry’s attention, and with its upcoming crime series, The Banks, TKO welcomes best-selling, award-winning writer Roxane Gay for a story about three generations of black women who team up to pull off a heist with high stakes and a huge payoff. Gay partners with artist Ming Doyle, colorist Jordie Bellaire, and letterer Ariana Maher to bring this thriller to the page, and it’s refreshing to see a TKO title with an all-women creative team considering how heavily men dominated its first crop of books. Doyle and Bellaire are a particularly inspired addition given that their work on Vertigo’s The Kitchen showcased how well they can tell period crime stories featuring formidable female leads. The Kitchen’s film adaptation comes out later this year with Melissa McCarthy, Tiffany Haddish, and Elisabeth Moss as the trio of mob wives turned mob bosses, and if TKO is looking to give The Banks a second life as a movie or TV series, it’s assembled a creative team that will get Hollywood’s attention. 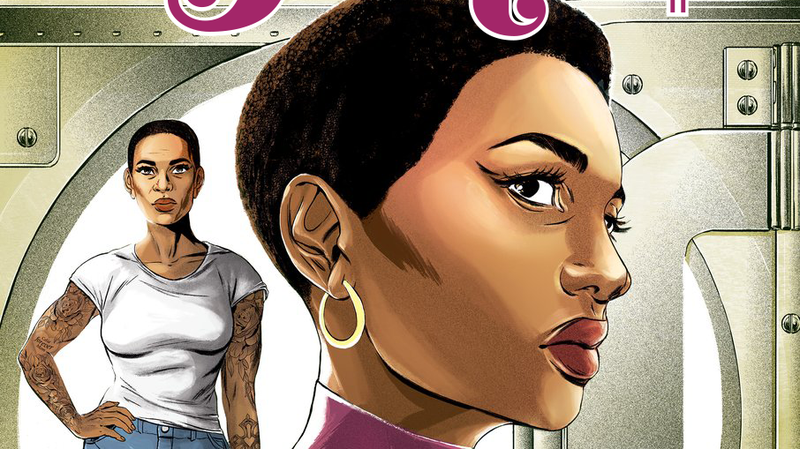 This exclusive first look at The Banks, tentatively scheduled for a July release, immediately establishes a compelling conflict as Celia Banks, an investment banker, refuses to join her mother and grandmother in their life of crime. Gay’s work on Black Panther: World Of Wakanda featured impressive character work considering how much continuity-navigating she was forced to do in that series, but The Banks gives her the opportunity to create a story without any restrictions. These pages do great work establishing intimacy between different Banks women and their romantic partners, but also introduce plenty of familial tension as Gay spotlights how the generations have grown apart. Doyle’s costume design skills help to reinforce the different time periods, and having worked with Doyle on multiple projects over the years, Bellaire understands how to color her linework to heighten the atmosphere while adding texture and dimension. Readers will be able to check out the entirety of The Banks when it drops this summer, and the strength of this creative team gives TKO a lot of momentum as it heads into its next wave of titles.